Private Mark Dickerson is another Union soldier who died in one of Danville, Virginia’s prisoner of war camps during the Civil War. His body rests many miles from his former home in Illinois. Information about Mark in public records is limited, as is the case with many young Civil War soldiers who never married or had children. Even though these people didn’t leave behind much of a paper trail, they were no doubt important to someone and deserve to be remembered. Mark Dickerson appears on the 1860 Census at age 18, meaning that he was born around 1842. He lived in Newburg, Illinois in a household of 11 people. The relationships among household members aren’t reported on that census, but it seems like the parents were Thomas and Sarah Dickerson and Mark had eight siblings ranging in ages from 20 to 2. Mark’s father, aged 55, was a laborer who was born in England. Sarah, aged 44, was born in Ohio. Mark and three of his siblings were also born in Ohio. Based on the ages and birth places of the other siblings, it seems like the Dickerson family moved to Illinois sometime during the first five years of Mark’s life. In 1862, Mark and his older brother William went to fight in the Civil War in the same company. William died from chronic diarrhea in Nashville’s General Hospital 16 on December 1 of the same year. In an earlier post I touched on the nightmarish conditions faced by Union soldiers living in Danville’s prison camps. 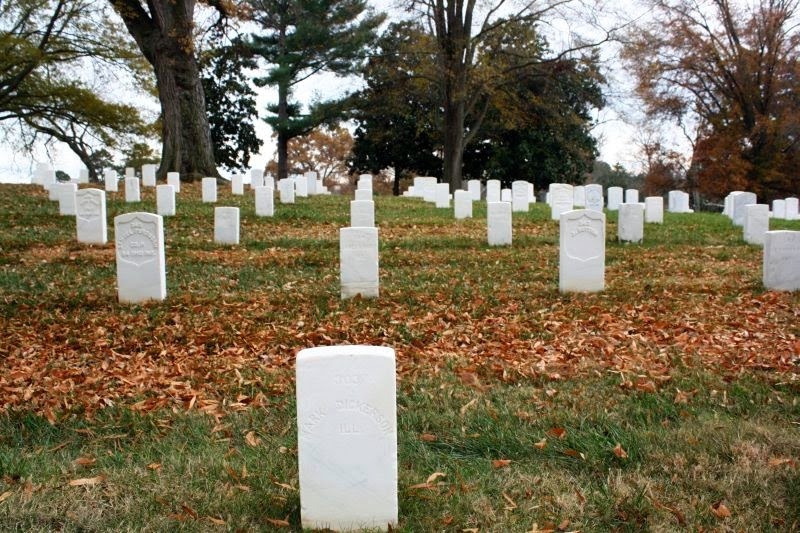 At least 1,000 of the burials in the National Cemetery are Union prisoners and based on my research the vast majority of those deaths were due to diseases caused by poor diets and unsanitary conditions. 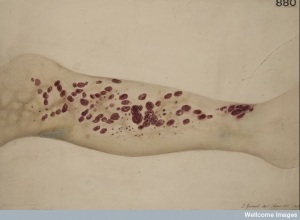 Chronic diarrhea, smallpox, and scurvy seem to be the major culprits. 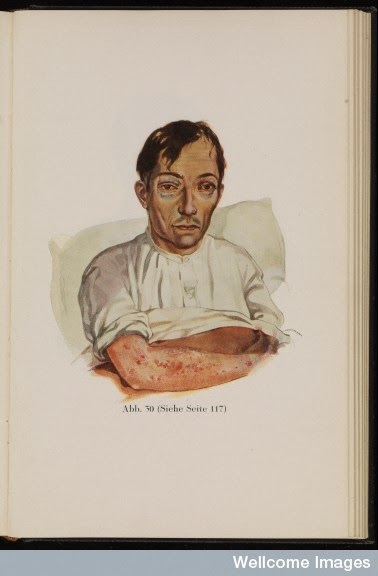 Scorbutus, or scurvy, is caused by a Vitamin C deficiency, making soldiers extremely susceptible to the disease. In addition to the inadequate food rationed in the prison camp where Mark lived, often soldiers were given dessicated fruits and vegetables, unaware that the Vitamin C that they needed was boiled out of the food. Soldiers on the battlefield weren’t fans of these “desecrated vegetables” either. Some of the common symptoms of scurvy are fatigue, muscle aches and pain, swollen and bloody gums, tooth loss, hemorrhaging skin, gangrenous ulceration of the skin, protruding or sunken eyes, fainting, high fever and trembling, and eventually death. As the condition progressed, the pain became increasingly unbearable and by June 1864, Mark may have welcomed the end rather than continue to suffer from a condition that could have easily been prevented or treated.